Description: Szott Dental Group is a business categorized under dentists, which is part of the larger category offices & clinics of dentists. 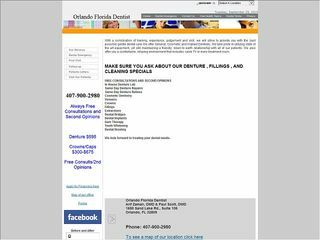 Szott Dental Group is located at the address 5724 Hansel Avenue in Orlando, Florida 32809-4217. The Manager is Jose Mercado who can be contacted at (407)851-5555.